How can numerical models help us to understand our planet? How do we make sure they represent reality? This album introduces ongoing work to model the entire planet's ecosystems, simulating the complex physical, chemical and biological interactions taking place between every living organism and climatic activity. Since everything is interconnected, Earth systems modelling can help our understanding of how the Earth's processes affect each other. For example, by increasing the rate of decay of leaf litter in North American forests, scientists can investigate the effect on global temperatures. The acid test is to see how well the model reflects reality, by comparing the model's predictions against real-world data. This material forms part of The Open University course S396 Ecosystems. How did the moon form? Forget a single giant impact – relentless bombardment could explain the Moon’s formation, says Open University research student Zoe Morland. How do you model a software system? This free course, Modelling object-oriented software an introduction, will help you to work through the processes necessary to produce a conceptual model, by analysing the requirements document to identify classes and associations appropriate for modelling the system domain, together with their respective attributes and multiplicities. What did the public have to say about the issue of global warming? Take a look at the comments we received. Blade Runner: What's the balance between science and fiction? How does Blade Runner shape up as a piece of work when real scientists look at its workings? 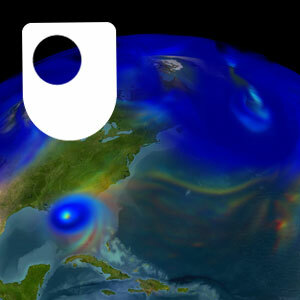 The BBC, in partnership with The Open University, has brought back Tomorrow's World to discover how our lives are changing with advancements in science. He's done a bit of acting, but that doesn't mean Dallas doesn't know his science. You've seen the Rough Science team attempt to calculate their position on the planet – but how would you do under the same circumstances? Try our Where am I? interactive. Science Shack takes on the Millennium Bridge wobble, aided by a Vauxhall Astra and some olive oil. Their diary will take you behind the scenes, warts and all.